Call us and order or just for help even if you do not know what you need ...we can help! 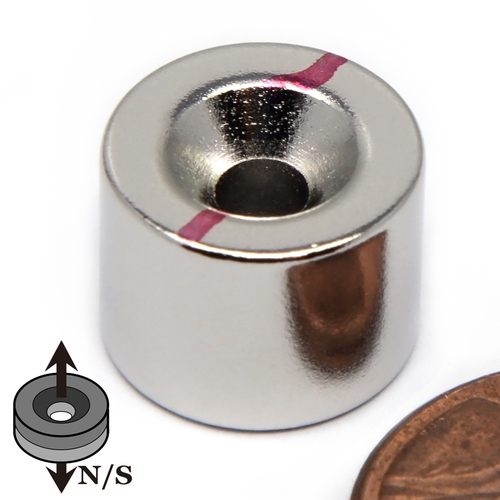 Neodymium Magnets with Countersunk Holes N35,N36,N42,N45, 50 & N52 A Countersunk hole in a magnet provides a convenient way to fix the magnets onto a surface securely using a matching screw. Most often there is a question about which polarity do I need for my application. 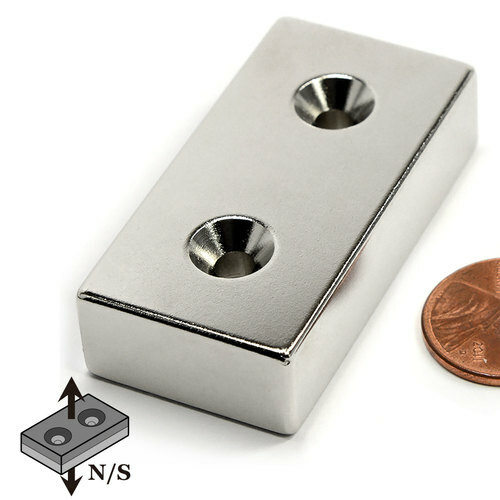 The rule is if you use this magnet to attract to a steel surface, you can simply choose no preference; But if you are planning to use these magnets to attract to each other, you need purchase half of your order to be north and the rest half of your order to be south; If you plan to use this magnet to attract to your own magnet, you need purchase the opposite pole to match them up.